After being rescued from Confederate captivity, Olivia Burns has married her handsome rescuer—Union Captain Andrew Burns. A few days after their marriage, Andrew takes off to fight in the battle of Nashville and Olivia stays behind, waiting on word from her husband about where they will meet again. When Andrew sends word that he hopes to meet her in Eastport, Mississippi, she travels down south. Their reunion is sweet and they spend a wonderful night together in a barn, but in the early morning of New Year’s Eve, they are abruptly disturbed by sounds of battle. Andrew must go back to the men of his company and leaves an anxious Olivia alone. Terrified to get captured again, she must learn to deal with her fear and emotions. When someone enters the barn where she is hiding, will her greatest nightmare come true? Marian has done it again !!! If you love historical fiction like I do, well you will want to to pick up this wonderful novella and have a great read for yourself ! Murray has kept Marian writing for his Let Freedom Ring Civil War Series and what a great choice he made in selecting her to do so ! This sweet story will keep you on the edge of your seat ! The suspense just made it so I couldn’t put this book down. Will Olivia overcome her greatest fears ? Will Andrew return to her ? Will this war ever end ? Will their love be enough to overcome the ravages of war? Well, you will just have to head on over to amazon and pick up a copy and see for yourself ! Marian’s writing is wonderful, touching and she really knows how to tell a great story! I received a copy of this wonderful book for my honest opinion and no further compensation was received for doing so. 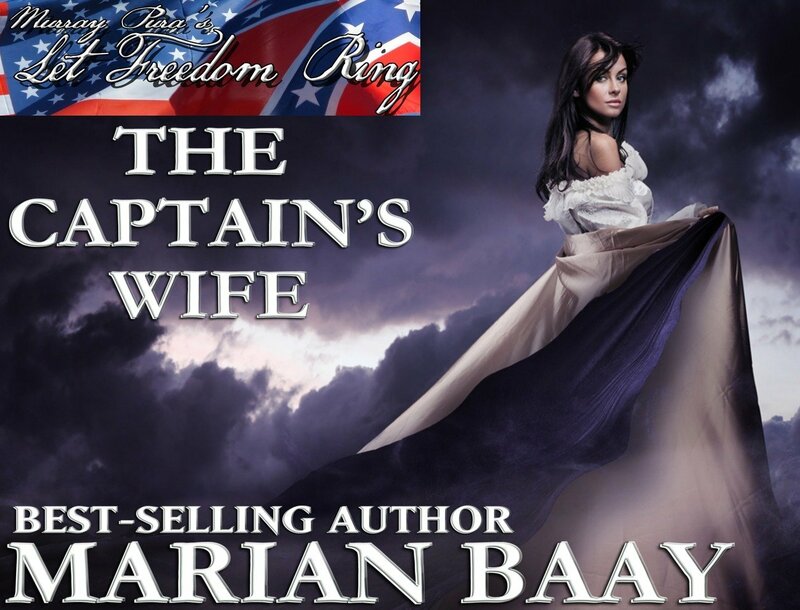 This entry was posted in Authors, Historical Fiction, Marian Baay and tagged Civil War Series, Let Freedom Ring, Marian Baay, Murray Pura, The Captain's Wife on August 28, 2014 by Linda Marie Finn.